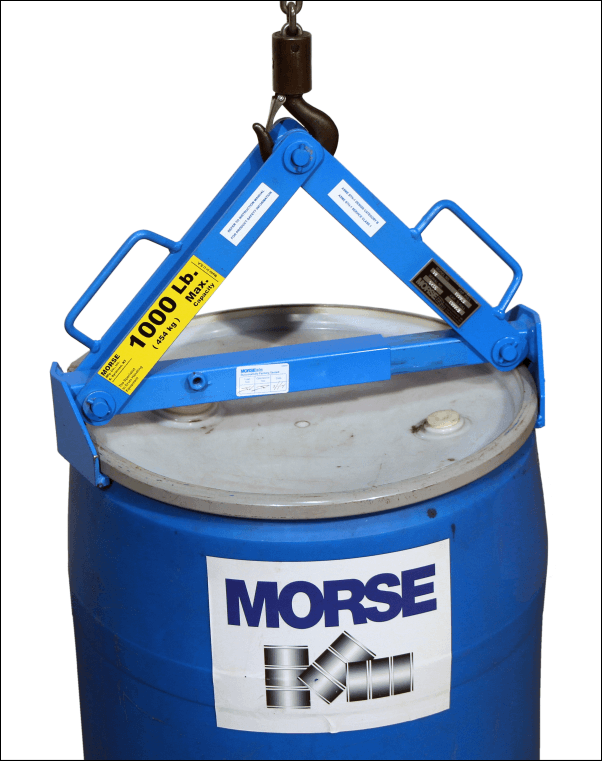 Morse model 92 Drum Lifter for 55-gallon (210 liter) steel, fiber or plastic drum. 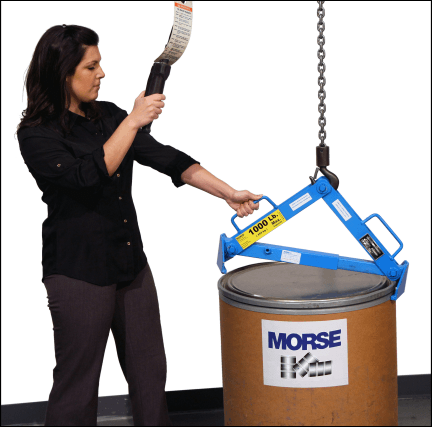 tong-like action works to lift a rimmed steel, plastic or fiber drum. 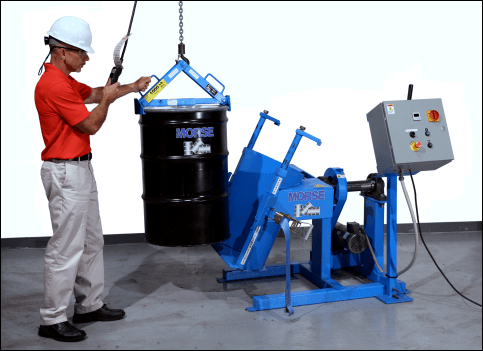 Model 92 drum lifter shown lifting a 55-gallon (210 liter) plastic drum. 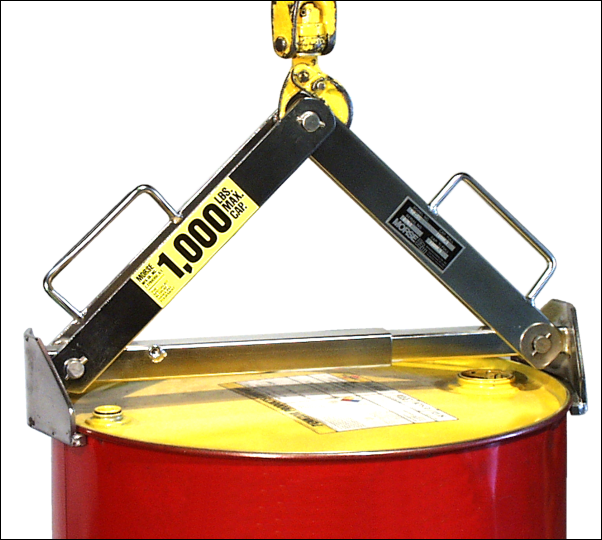 Drum lifter model 92-SS is made of type 304 stainless steel. 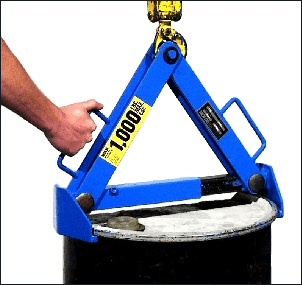 rimmed steel, fiber or plastic drum. 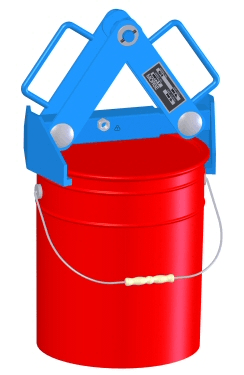 PailPRO TM Model 92-5 Pail Lifter is sized for your 5-gallon (19 liter) steel or plastic pail. 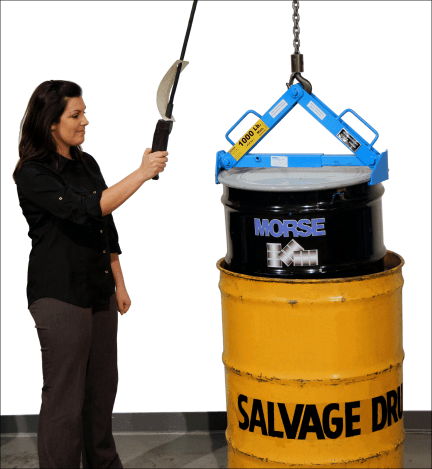 Provides ergonomic 5-gallon bucket lifting with your hoist or crane. 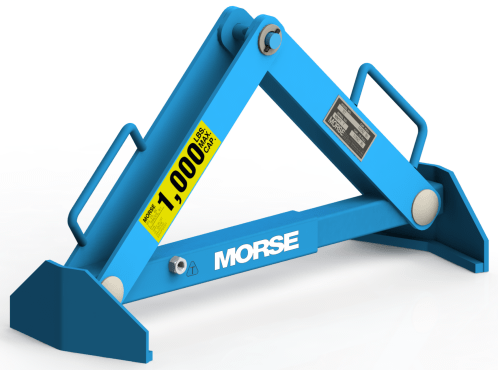 Below-hook drum lifters for steel, fiber or plastic drum - Morse drum lifters.